Test your knowledge on Czech Republic. Radio Prague April 2018 quiz focused on Czech tradition on Easter. In the Czech Republic, the Easter season, known as Velikonoce. . Easter Monday is the national holiday, and traditionally it is a time when women get whipped with a braided rod of willow. Traditionally, boys in villages go around from door to door on Easter Monday to slap women, even strangers, on the legs, thighs or buttocks with the whip. The victim is supposed to give the boy an egg or some chocolate. Radio Prague started new series of Song called Hit of the Century . 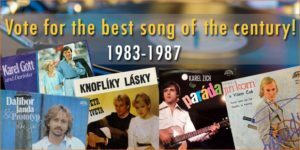 Listeners will get closely acquainted with hit songs across 100 years of Czechoslovakia’s and the Czech Republic’s existence – one song for every year since the country was founded. 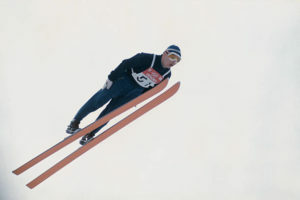 In the history of Olympic games Czechoslovakia was present since 1920 to 1992. Only the year 1984 was boycott as it was in the Soviet Block. From 1900 to 1912 it was participated as Bohemia. Monthly quiz of Radio Prague February 2018 focused on the Olympic Games. From 1993 Czechoslovakia participated two separate country Czech republic and Slovakia. Monthly Quiz : Radio Prague January 2018 announced. Listeners have to answer a simple question again for this contest. Question are highly focused on Czech History, culture or tradition. At the end of January 2018 Radio Prague select six winners from the correct answer. January 2018 question, will drive listeners to discover on of the oldest castle/Chateau of Czech. It’s not only using by modern Czech President also used by the President of Czechoslovakia. Radio Prague October 2017 Quiz is now available on the web of Radio Cz. It’s time to test your knowledge of things of Czech! For the month of October Radio Prague asks question on Great Pardubice Steeplechase.